Everyone loves sweaters and I am no exception! Today’s blog post is dedicated to cold weather knitted layering designs you all can try this year. 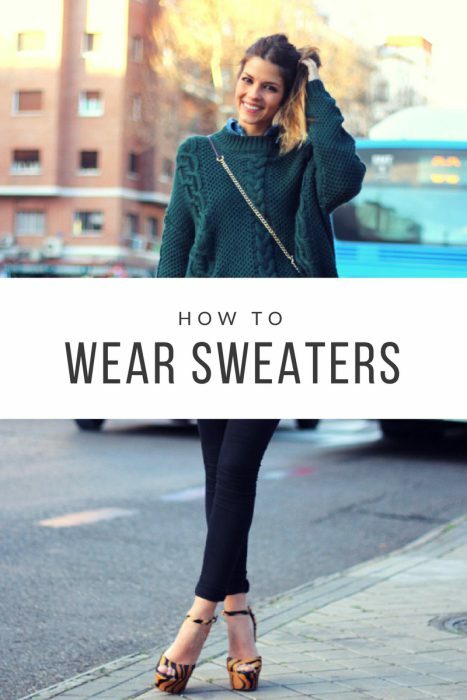 I’ve spent much time in the search to bring you the best sweaters and street style ideas on how to wear them in real life during cold months. Once the cold temperatures hit your country, we all start to think of a cozy clothing, but the thing is, the ground is still warm and the real cold will get you in several weeks, so what can you basically wear in order to keep yourself warm and look voguish? Sure, you can buy a special light jacket and wear it over tank tops or tees, but you have a chance to wear a classic sweater. This knitwear is a perfect savior and you can create so many fabulous looks with this knitwear. Why do I love sweaters so much? They have no age limit, you can be a skinny girl or a wide person and still look great wearing it. There are numerous awesome and creative styles to choose from, and I am here to show you the best looks you can copy this year. 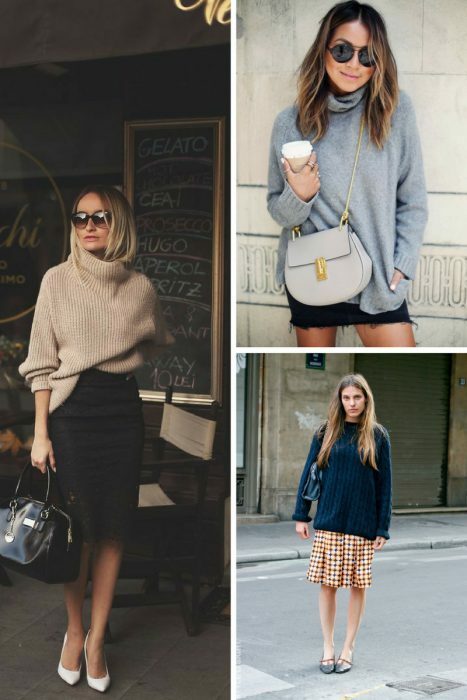 So, everyone needs to layer up in a cozy sweater and you are no exception. Leave your jacket for colder months and try on a sweater by itself. How to wear sweaters as jackets? This is a simple look that can be worn in different ways. What you will need is a lovely and qualitative sweater, T-shirt, button-down shirt or a tank top underneath and bottoms, like shorts (for warm countries), skirt or pants/ jeans and functional footwear. Yes, it’s easy as one, two, three. I personally love to see women who create undone looks, where sweaters appear a bit slouchy teamed with skinny pants or jeans. 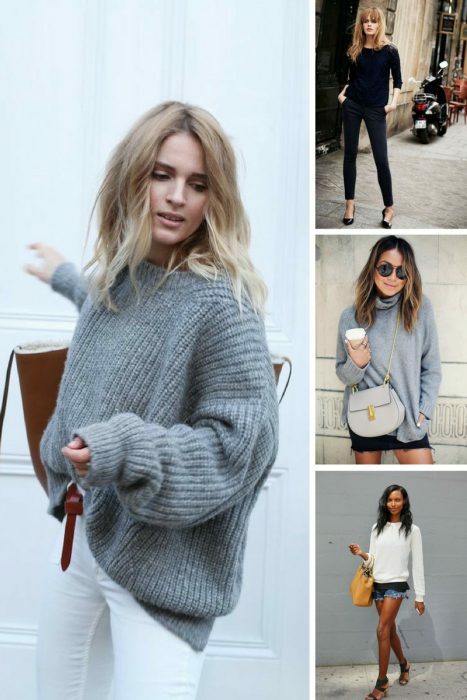 By the way, did you see my post about best sweaters to wear right now? Check it out! I do love to wear sweaters with jeans and classy heels, this is a perfect look for office hours and cocktail events. When I want to look off-duty, I simply change pumps to sneakers. I do also love to wear all black or all white looks, yes, they might look not so original, but still, they make me refined and self-confident. By the way, I see many designer brands offering their clients sweaters in black and white colors. 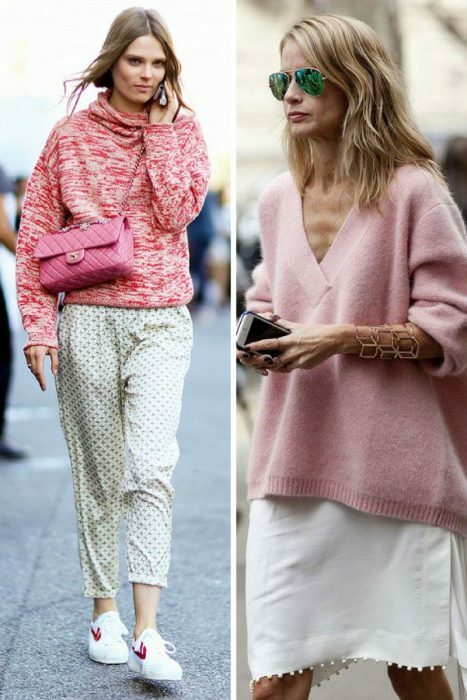 But you can also choose a knitwear in a pastel shade, like blue, pink or green. I’ve selected my favorite street images for inspiration, hope you can find there something awesome and unique.